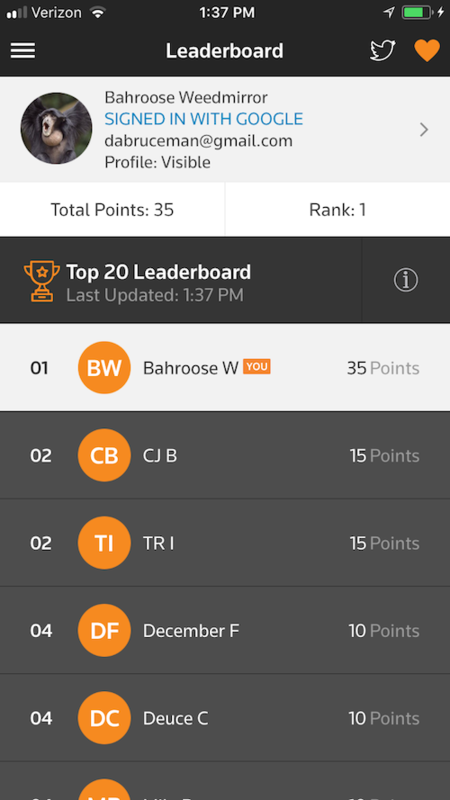 The more points they earn! How simple is that?! 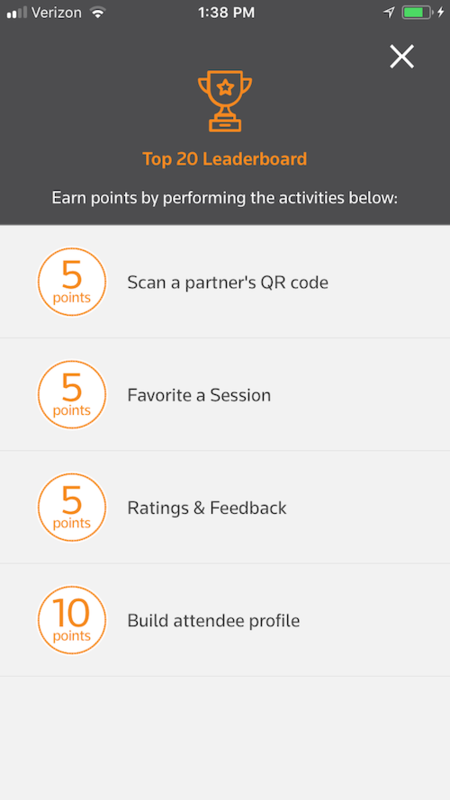 Points are awarded when people use Convene to do things like rate and leave feedback about sessions, scan sponsors and exhibitors, interact with the app and more. 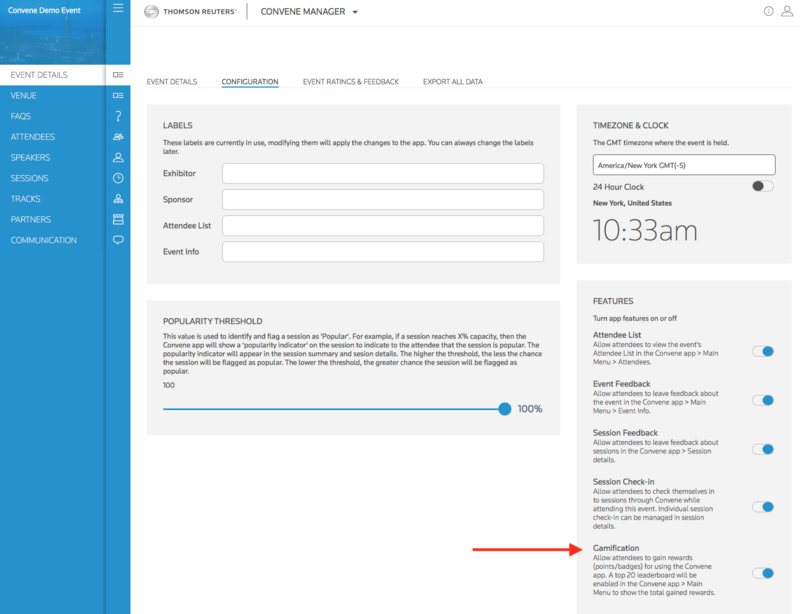 Gamification is on by default for all events but event managers may opt to disable it in Event Configuration in the Convene Manager. Q1. ratings and feedback - assuming this doesn’t require checking in? A1. Checking in not required. As long as a session has the Ratings and Feedback option enabled they should be able to leave a Rating/Comment. This will net them 5 points in the Gamification Feature. Q2. checking in - not really sure the point of it? A2. Some of the Events want/need to track attendance for certain sessions. An example is where credit of some type is given for attending a course or such. Check In / Check Out was added so that people could confirm they were in attendance. Not all events would benefit from this, but it is an option where needed. Q3. if we were not really wanting to invite attendees to rate the presentations, but still include gamification, apart from building a colleague's profile, the only options for point scoring seems to be to scan someone else’s QR code..
A3. You might be referring to "Partner Codes", which actually refers to your Sponsors and Exhibitors. The thought here is that you can print up the QR Codes for Sponsors (like Avondale College) and place the code at their booth/table/location. Your Attendee would stop by the booth, scan the code, and be awarded points. It encourages them to visit as many Partners as they can, upping Attendee traffic to their locations and adding value to being a Partner. Attendees receive 5 points for each Partner they scan. As a related comment, no points are given currently for scanning another Attendee's QR Code. Q4. also I have run some tests and it seems that favoriting a session doesn’t add points? can you please confirm? A4. You only receive one award of 5 points for the First Session you Favorite. Since the points are saved "server side" they can sometimes take a few moments to appear in the Leaderboard. They are usually updated when the app refreshes (automatically).